Being a Bengali, Misti Doi has been one of our favorite delicacies, usually craved after a sumptuous Sunday meal, mainly consisting of Kosha Mangsho ( goat meat in thick gravy) and Bhaat ( rice). However living outside Kolkata for most of our lives we have missed it quite often. The only solution seemed making something close to Misti Doi. A friend abroad had told me that she made it at home, I quickly asked for what was needed and tried my hands on it. Take sugar/brown sugar and caramalise it, make sure you do not burn it. Add some water once the sugar is caramalised. This process adds color to the yogurt. Beat the curd/ greek yogurt and caramalised sugar well. After this add the milk and beat it further. Transfer the entire contents in a microwave save bowl and cook for 4-5 mins. 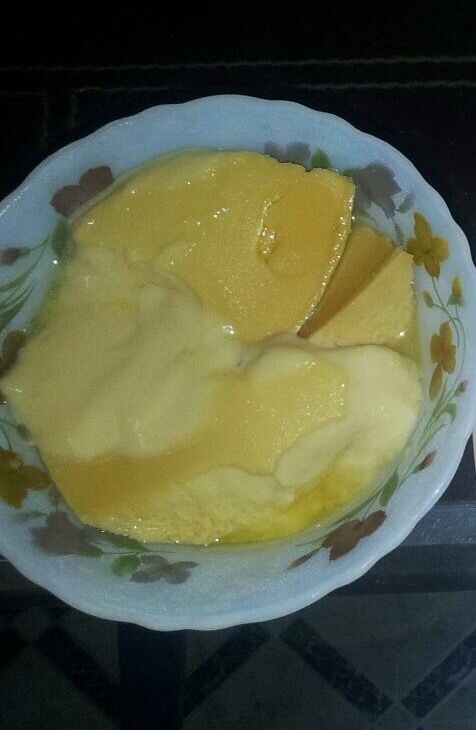 Once the yogurt leaves sides of the bowl and turns into a thick curd like consistency you would know it’s done. Keep a check, overcooking would lead to cuddling.